Physicians Formula is a brand I first discovered on one of my many trips to the Drugstore anytime I was visiting the US. I always found this to be an interesting company but at the same time quite expensive for a drugstore brand. However, the thing that appeals to me most about Physicians Formula is the fact they don't use harsh ingredients within their products and they're hypoallergenic and Cruelty-Free too. 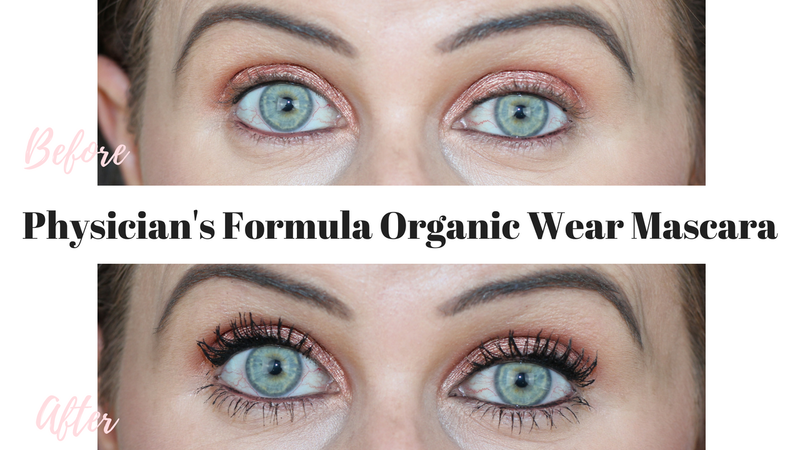 I've been yearning to try out two of Physicians Formula's iconic products for years now and I finally got around to picking up the Organic Wear Mascara* and famous Butter Bronzer to test out for you guys. I've actually been doing a few video style smaller reviews over on my Instagram with more to follow. So to see the demo for this mascara, head on over to my Instagram here and scroll down to the bottom of this post to see my review roundup and to shop the Physicians Formula Organic Wear Mascara Family. Also if you don't live in the US then Physicians Formula is actually available from iHerb here*. PRICE - $9.95/£7.37 for 7.5g of product. The Mascara is 70% Organic, 100% Natural & Paraben and Cruelty-Free. It's also suitable for anyone with sensitive eyes. This comes in Ulta Black only. PACKAGING - I love the quirky shaped packaging and the brush is a lovely thick rubber bristled brush. APPLICATION - This applies easily and is buildable too. I tested one eye without eyelash curlers and one with. The lash curlers do help however I wouldn't say this is a very lengthening mascara, it's more for thickening and building up the lashes. Regardless of my love for rubber bristled brushes I do think if the brush was more pointed at the tip that it may help with really getting into the root of the lashes and catching all those tiny lashes more efficiently. LONGEVITY - This definitely felt comfortable on the lashes and it wore well throughout the day, despite a tiny bit of transfer. I award the Physicians Formula Organic Wear Mascara a 4.3 out of 5.